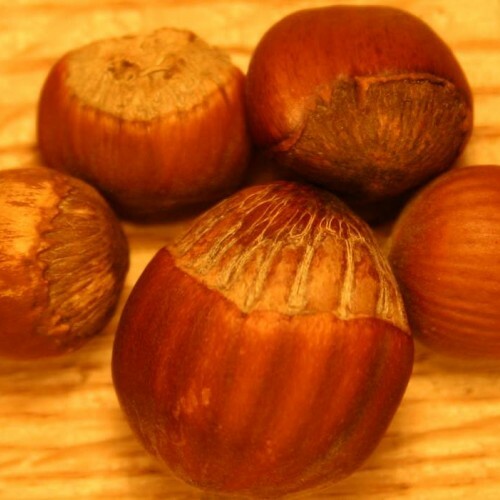 Winklers high yields and annual productivity make this one of the better strains we have grown of the American hazelnut. 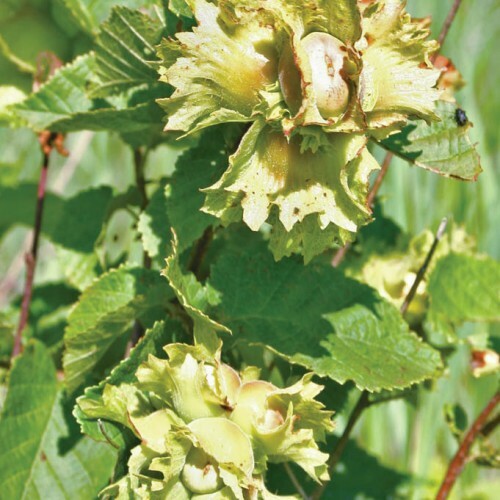 We received our cuttings many years ago from Nebraska State University where a professor had grown out several of these 'lightly' selected wild hazels. We have found them to be taller growing than other American hazels with nuts forming near the tips of the branches. The nuts are small and greatly enclosed in a solid green husk. Even the blue jays cannot get to them unless fully ripe and then they will drop out after the husk turns brown. This selection is a good pollenizer for other American hazels as well as some of the hybrids we grow. It is interesting that many American hazels provide a wide range of diversity that few have paid attention to. This one originally comes from northern Minnesota the land of snow and 3 months of bad sledding as someone once told me. Need 2 of the same or other American type. Cross pollinates with all hybrids except OSU selections. Very easy. Plants begin to fruit when 2-3 ft. tall. The canes will produce a dense shrub making harvest easy and more fruitful with time. Weak canes will need removing once the yield drops after 6-10 years.